In May, I pitched an idea for an article series to the Horse Quarterly – the magazine I’d grown up reading. I was totally elated when the mag picked up my articles, and the first one was published in the July 2018 issue. 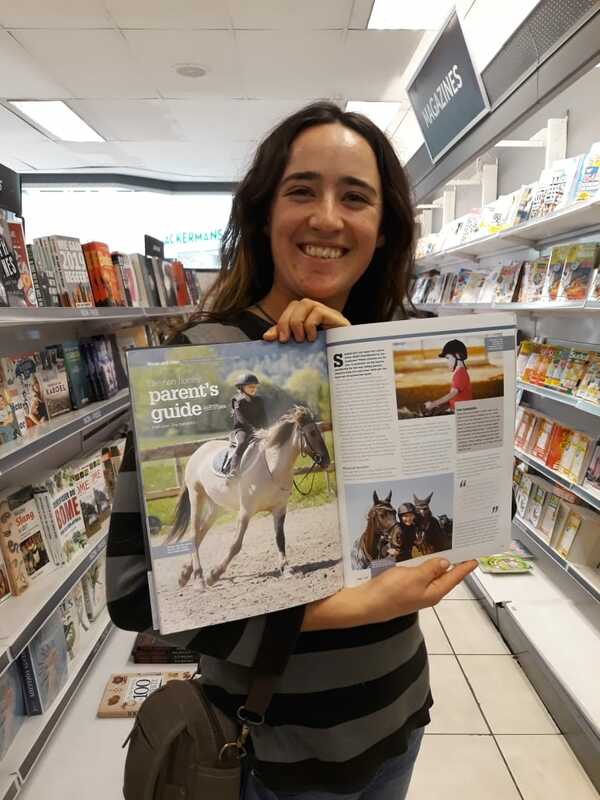 The Non-Horsey Parent’s Guide is a five-part series that will lead the first-time secondhand horse enthusiast through the bewildering world of your child’s latest obsession. Spoiler alert: it’s not just a stage. Read all about it in the latest HQ, or, even better, subscribe to get all five articles in this value-packed magazine that’s been adored by horse lovers for decades. With December 28th marking two years after the arrival of our first official liveries (Zorro and Jamaica, who infamously jumped the fence and broke his scapula six hours later), running the yard is becoming much more second nature. In previous years, the day-to-day has been more than enough for me to handle. But as we get more used to routines and programmes, and as my faith in God’s ability to handle it grows, we can start going deeper now. The yard belongs to God. His plan for it is perfect. It always has, and it always will. Setting goals is not me demanding God to do what I want. It’s just me doing my job to the best of my ability. Build the eight stables, preferably before winter. God’s grace here again; we couldn’t possibly have built them from scratch, not this year, but we’re clearing out an old shed (barn for you international readers picturing me wedging ponies into a tool shed) and dividing it up into stables. It won’t cost much except time and ingenuity. Repair the clippers before April. This one is subject to how expensive it’ll be, but if I can clip the client horses, it’ll help. Build part of the little clubhouse. Not sure yet how we’ll do this, but it needs to be done. It’ll happen if God wills it. Pass Module 5. Then we’ll have an internationally qualified coach! Get my licence to tow the horsebox. Hopefully ASAP so that I can quit bumming lifts to lessons. Hit our financial goal consistently. Finish the first draft of the novel. God called me so clearly to this one. Write 10-12 blog posts per month, every month. We made it most of last year, but not always consistently. Take a WHOLE day off every single week. Firstly, this is God’s explicit commandment. Secondly, I have severely struggled with burnout for two years. It’s a horrible, horrible feeling, it makes me half the person I can be, and I’m only 20. My body will not handle burning out four times a year for the rest of my life. Obviously, sometimes emergencies happen (beast in a pit, anyone?) but I need to focus on this because it IS a sin and I have repented. There are many other personal things I want to achieve this year, but they’re impossible. That makes them not my job, so I can’t quantify them in goals. I can just be still and watch the Lord fight for me. And watch when He achieves the impossible. It’s His speciality. … but all for good reasons, I hope. Forgive the short note – there will be pictures of all your favourite South African brat ponies in the next one. For now, a brief explanation. I’ve picked up some part-time proofreading and transcription sort of work. I like it; it pays better and doesn’t hurt as much as the horse thing. Never fear, however – the whole purpose of the writing gig is to bring in some extra funds, especially to expand the yard’s facilities, I hope. There will certainly be no less to tell about the horses, just less time to tell it in. who can resist blogging about this fancy thing? I’ve scheduled myself three blog posts each week and I hope I’ll be able to stick to it, but the paid writing work has to take priority. I would say it’s regrettable, but in this country, gainful employment is good reason to be grateful to God. To be gainfully employed in more ways than one is even better. Stick around, we’re still here, adventuring in full force.